Little Child is a hard-hitting thriller which strips bare the impact mental illness and abuse can have upon the relationships within a family, and beyond the family. The story is set in the South East of England and portrays a mother and daughter grappling with their identities. Lost and overcome, striving to be the best they can be, the pressure of expectation weighs heavily. Both are running - Maggie from the power she's been entrusted with by her father's company and all that it brings; Emily from her mother's relentless abuse and keeping up the facade that her home life is normal. As Emily and her father make plans to escape, Maggie finds herself embroiled in a tangled web of lies, deceit and corruption, which will eventually lead to the ultimate betrayal. Both mother and daughter will be pushed to the brink of despair through events out of their control, but only one will claw her way back again. Lurking on every corner - survival, power, instinct - and laced with gripping plot on plot, Little Child effortlessly combines a gritty underworld with raw, delicate emotion. 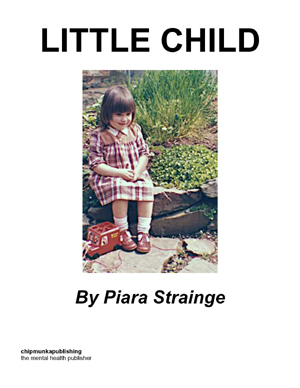 Piara Strainge was born in Bath on the 6th November, 1982 and educated at Warmley Church of England and at the Sir Bernard Lovell School in Oldland, Bristol. Leaving home at 17, she moved to Fleet in Hampshire where she has been living ever since. The last 11 years have been spent travelling all over the world as Piara works for an Adventure tour operator in Farnborough. Writing is her first passion, closely followed by travel. It took 10 years to plan her debut novel Little Child and finally, in September 2009, she sat down and wrote the story during a 6-month break. 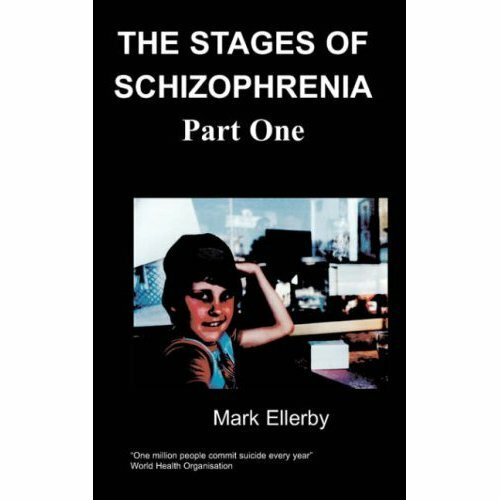 Little Child deals with different types of abuse and touches it on all levels. On a personal level, Piara has experienced and witnessed emotional and mental abuse and it weaves itself through her family, passed on from one generation to the next. The different forms of abuse are widely acknowledged in the family and her generation is working hard to stop the cycle as they create a new generation - primarily by being aware of it. Piara accepts they won’t all be successful because traits are ingrained, but at least the acknowledgement is there. Mental abuse fascinates her the most as it is so subtle. Two people were meeting today for the first time. It was an unusual collaboration. One was young, fresh and ambitious. The other was older, wiser, knowing. Both were interested to see what each could offer and both had only one goal in mind – to take as much from the other as they could. Their lifestyles and principles were very similar. Neither of them lived by the saying Indifference to chance is a vanity in any game. Instead they preferred to play by their own rules and take whatever chances they had to, to get what they desired. They were wealthy but only because they strived for the best. They had the best but only because they were dishonest. Every move carefully calculated. It was an addiction; every morning they woke up, popped the pill of success and carried on triumphing. They did deals, shook hands, sweet talked clients and money oozed from their bank balances. Neither of them realised how powerful the other could be; that was part of the reason for meeting. There was still some mystery about who would gain more from this partnership, but the speculation was all theirs as no-one knew it was even taking place. It was a secret collusion shrouded in deceit, corruption and fraudulent deals, and would be kept that way until one of them decided it was time to make waves. The object of the game was simple - to survive. It was a dangerous game, one not many people would dare to participate in. You had to be of a certain calibre. Unyielding. No remorse. Without fear…yet for the players, it was that very thrill which drove them on. They had to play. They had to be the best. And these two were just like that. They were ready to roll the dice and start playing. Maggie Dalton, the guest of honour, glided up to the podium with grace, her long red dress moving silently over the thick carpet as each step took her closer and closer. Off the shoulder, it hugged her petite frame, yet what she lacked in height, she made up for in poise. Striking and assured, she was the most beautiful woman in the room; laced with diamonds and wearing the finest silk money could buy. Her chestnut hair was elegantly piled on top of her head showing off her long slender neck. Nobody could take their eyes off her. She was magnetic. Flawless. This was her coming of age party, but at the last minute she had honourably decided to present the event as a charity ball in memory of her late father, Richard Dalton. He had been a brilliant businessman and kind and generous in the local community. He had been her idol until his tragic death seven years ago. His reputation had been immaculate, and now his legacy was strong. People had thronged to the occasion which pleased Maggie. She didn’t want people to forget what her father had done for them. Her father had seen to it that she, and them, had never wanted for anything. So, when she spoke her carefully rehearsed speech to the refined audience below her, she was not asking for their cheques or for their acceptance, she was simply asking them never to forget. She understood their loyalty was more important than their money at this stage. Money could come later once she had made her definable mark. It had taken three long years to get this far and now she was here, on the eve of a glorious new beginning. The applause rang out and echoed around the room. It made her feel lightheaded as she bathed in their adoration. And then it was over and she was drinking and laughing, celebrating and dancing with her many friends, admirers and lovers, the quickstep swirling her around the ballroom, her feet tapping out a faultless rhythm. Guests clapped and cheered as she closed her eyes and let the music take her. The beautiful, sophisticated, twenty one year old with her whole life stretching out in front of her. Gone were the abusive moments with her mother, the orphanages and the foster homes. It had only been four years before she was rescued by her father’s constitution at the age of eighteen, but it had felt like forever. The struggling and the unknown had ripped her soul bare. She was finally back where she belonged, with her father. And this was her night. She was going to enjoy every second of it. The shot rang out and reverberated around the room, dulling the music in its wake and silencing the buzz of chatter and laughter. Maggie’s dance partner slumped forward in her arms and, for a split second, she froze, holding his weight and watching the blood seep through his tux. She felt herself being thrown to the ground as chaos erupted around her. The body thudded to the floor, the ashen face adjacent to her own, as she stared into the expressionless eyes of a dead man. One of her bodyguards had dived to cover her and now he was pulling her to her feet and dragging her out of the room. She was screaming, she knew it but she couldn’t stop, and he was shouting at people to get out of their way. She had two on each arm now hustling her through the throngs of confused, frightened people. Suddenly they were outside, the cold night air filling her lungs. She started to shiver uncontrollably. A heavy overcoat was wrapped around her before she was bundled into a limousine and one of the men got in with her as it sped away. “Miss Dalton, are you alright?” She looked at him and was relieved when she recognised who it was. She leant back against the headrest. Pulling the coat closer around her shoulders, she closed her eyes and let the emotion rush over her. “Johnny…that man…is he dead?” She already knew the answer. “Yes, Miss Dalton,” Johnny answered quietly, “I don’t mean to scare you Miss, but somebody was trying to take a pop at you back there.” Her eyes snapped open. The thought hadn’t even occurred to her. Her hand flew to her mouth as she gasped. “I thought…I thought it was…” Faltering, she didn’t actually know what she was trying to say, or what she thought. “Don’t try and talk Miss Dalton, we’ll get you back safe and sound.” Johnny patted her arm and for some reason she started to cry.